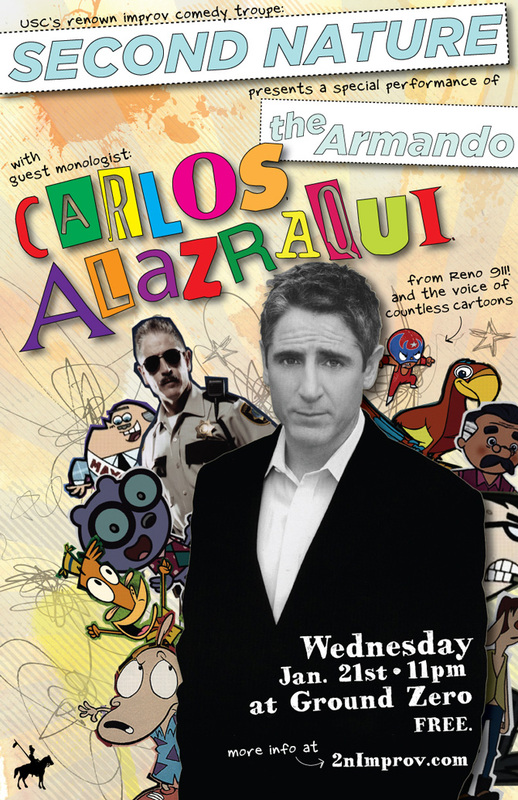 Poster for comedy show featuring Carlos Alazraqui. Though he’s had a decades long career in comedy, the event planners were concerned audiences would be more familiar with Carlos as his character from Reno 911! and as the countless cartoons he’s voiced over the years. To solve that problem, this poster features many of Carlos’ characters, springing with life from around a picture of the live-action Carlos.